On Saturday, January 23, 2010 Dr. Siva Arunasalam, the Founder and Director of the High Desert Heart Institute gave his first public presentation of the groundbreaking results from the High Desert Heart Institute Study. 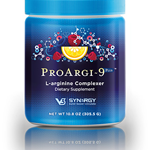 This study evaluated the effects of the nutritional supplement ProArgi-9 Plus on the health of 33 congestive heart failure patients. The results of the study were “remarkable” in how a proper L-arginine and L-citrulline combination, with other heart healthy ingredients, can make positive changes in the cardiovascular system. During the weekend event, John Hewlett of the ComoCardio Institute conducted a 15 minute video interview with Dr. Siva. While this video is posted on the ComoCardio website, I wanted to share it with my audience. John Hewlett conducts a wonderful interview that shows a gifted health practitioner who is dedicated to finding methods that can enhance the health of his patience so that stent surgeries can be avoided. Please click on “ProArgi-9 Plus” below to view this interview! Video Index – I’ve also indexed the video to help you navigate to the sections that would best address your interests. Again, I want to thank John Hewlett of the ComoCardio Institute and Dr. Siva of the High Desert Heart Institute for this interview. The information is both helpful and enlightening. This entry was posted in Heart Disease, High Desert Heart Institute Study, Video Library and tagged Cardiologists, Cardiovascular System, ComoCardio Institute, Congestive Heart Failure, Dr. Siva Arunasalam, High Desert Heart Institute, High Desert Heart Institute Study, L Arginine, L Arginine And L Citrulline, L-citrulline, ProArgi-9 Plus, Stents, Synergy Worldwide by Dan Hammer. Bookmark the permalink. 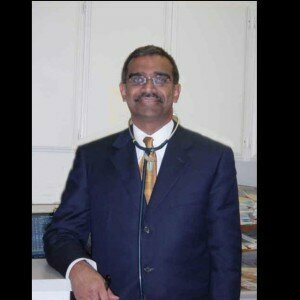 I am very grateful to Dr. Siva and am impressed with his product & factual information of Pro Argi 9.